DC Comics' web series DC All Access revealed some news from the first day at the San Diego Comic-Con but the one bit of information that got our attention the most was the return of the classic Amanda Waller design coming up in the 'Suicide Squad: Rebirth' one-shot by Rob Williams, Philip Tan, and Jonathan Glapion. 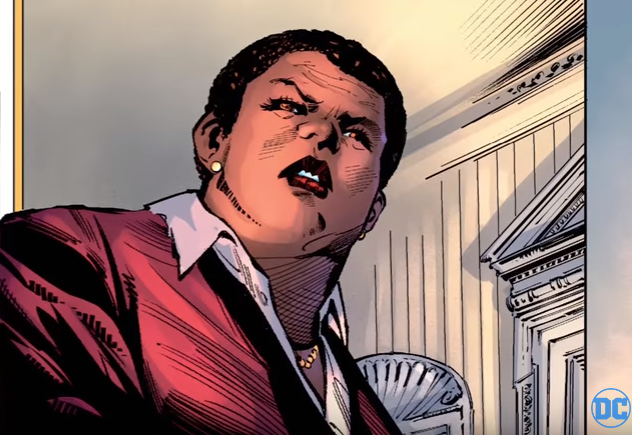 One of the many ill-advised changes to the DC universe in the New 52 reboot was the redesign of Task Force X's boss and master manipulator Amanda Waller. The fierce no-nonsense government official in charge of imprisoned supervillains recruited to go on dangerous covert missions in exchange for their freedom if they survived got an unnecessary make-over. The once intimidating heavy-set woman suddenly became a slender cover model-type that looked more like Kerry Washington than her former self. It's modus operandi for an industry notorious for sexing up female characters. Now with DC's "Rebirth" launch, seemingly going back to basics with their comic book line, it appears we get "The Wall" we all know and fear back. Check out the entire recap of Comic-Con's first day from DC All Access below. "Suicide Squad: Rebirth" #1 one-shot, by Rob Williams, Philip Tan and Jonathan Glapion, arrives on August 3. "Suicide Squad" #1 on-going, by Rob Williams, Jim Lee, Scott Williams and Jason Fabok, arrives in stores August 17. DC All Access is on the scene at San Diego Comic-Con and bringing you exclusive clips you won’t see anywhere else all weekend long! In this Thursday roundup, Tiffany and Jason show us around DC’s exciting new booth before entering the cold cells of Belle Reve for an exclusive look at the Suicide Squad VR Experience at the Hard Rock. Plus, we pay a visit to Wonder Woman’s invisible jet, check out some of the Batman v Superman stuff on display, learn what's coming up in some of our biggest Rebirth comics and talk Suicide Squad: Rebirth with Rob Williams and Philip Tan.